This was a good start to the “Landing a Lord” series. I always had a weakness’ stories when they new each other since they were younger and when the heroine has been in love with hero ever since. I really liked how after Alex realizes his feelings for Charlotte that he wanted to court her openly in society. And though Charlotte was a little fast in jumping to conclusions about situations that came up during their relationship progress, it added a touch of reality to the relationship when you think that she has been in love with Alex since she was 15 and who wouldn’t have some insecurities when things seem to good to be true. I was a little disappointed that it was really short and I wished there was a little more to Alex and Charlotte story. I wished the author went into more detail about Alex’s friends and also had them a little bit more involved in the story. As well as Alex’s mother, and though Lucy, Alex’s sister, was a little bit more involved, after all she is Charlotte’s best friend and partner in crime. For a novella, it was written really well. Though I wish there was more to their story, the author did a good job in having the story flow really well. She didn’t leave you hanging and have some areas dragging. All in all it was a good novella, and it has made me interested in the other books in the series. Forgive me for my impertinence, but I feel I should inform you that your mother is very ill. If you wish to see her before it is too late, you should come at once. 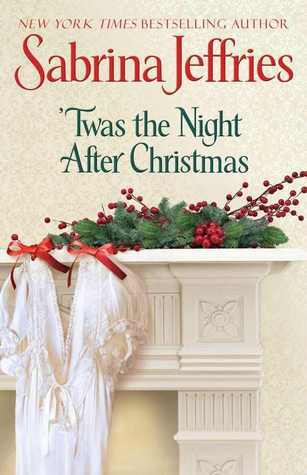 Since its that time of year, I have been reading books that has Christmas involved with the story. I enjoyed reading this book and it was different compared to anything I have read. I enjoyed how Pierce’s and Camilla’s relationship grew each day that he decided to stay and how as time went on, he was able to share his secrets with her. It wasn’t one of those, that when they first one or the other or sometimes both had to have the other person, but they actually got to know each other. Though Pierce and his mother’s relationship was tense, you were able to tell that she was devoted to her son and it made me wonder what happened to make her distance herself from him. It made me look forward to seeing how everything turned out in the end. Jasper, Camilla’s son, was just adorable. He was obsessed with the “A Visit from St. Nicholas”, but it really came apart of the story in a lot of the activities that the did. And I thought that Ms. Jeffries did a great job integrating both Jasper and the poem in the story. All in all I thought it was a decent book to read for the holidays since its based on forgiveness and new beginnings. I really liked Violet’s character. She is quite clever and witty. She yearns for adventure, but figured she would have to eventually settle for a an average English husband. I liked how much she loves her family and is very protective of them and would do anything for them, even sail across the wide expanse of ocean to look for her brother and make sure he is safe. I enjoyed to see her grow and learn new abilities that she didn’t have throughout this adventure. Asher is a respectable man. He takes good care of his crew. He has an uncanny way of looking through a person and guesses what they need. You find out that he really helped a couple men of in his crew out of tough situations. And that he keeps the things that are important to him close at hand. I loved Asher and Violet story. I liked how at the beginning they kept each other on there toes. And I liked how they got to know each other and developed there feelings for each other. I liked that they each done something to show each other there love for them. 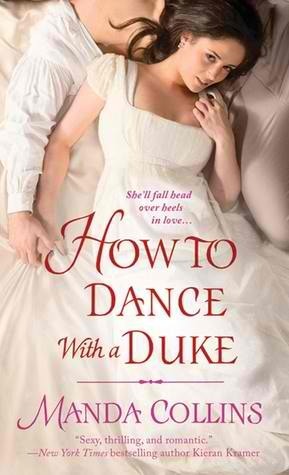 I really enjoyed this book and will probably read it again later on! !